Treat your skin with this potent serum for smoother, clearer skin and a fuss-free shave! 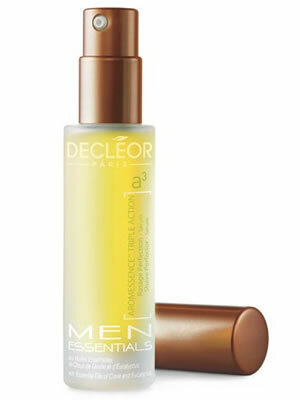 This cocktail of Essential Oils is specially tailored to answers the precise needs of men's skin. Decleor Aromessence Triple Action Shave Perfector Serum helps fight damage caused by shaving and limits hair re-growth thanks to Clove Essential Oil. Use before shaving to help lift ingrown hairs and improve razor glide. After shaving, it helps soften the skin, soothe razor burn and enhance the effectiveness of post-shaving products.